"I need your help please! I created a PowerPoint file for my wedding ceremony, and added several background songs in it. I want to convert PowerPoint to AVI video so that I can save and view it on my Xbox. Is there any way possible for me to do that? Need I to use some PowerPoint to AVI converter? Which kind of PowerPoint to AVI converter software is the best? Your suggestions will be appreciated, thanks!" PowerPoint files are widely used in our daily life, and can be played on computer as long as you’ve installed corresponding MS Office. If you want to view PowerPoint on Xbox, you need firstly convert PowerPoint to AVI or MP4 videos that are accepted by Xbox (Click to learn detailed video and audio playback support of Xbox). It could be your first choice to convert PowerPoint to AVI for Xbox and other devices/players that accept AVI videos because the AVI file will keep the original sound and video effects with little quality losses. Online Convert is a free PowerPoint to AVI online document converter that will convert PowerPoint to AVI online free and download converted PowerPoint files to your computer while you wait. The site also offers a number of other useful file converters, all free, and with no watermark in the final output file. 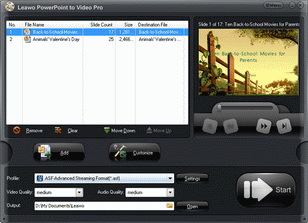 The below steps would show you how to convert PowerPoint to AVI free with this free PowerPoint to AVI converter online. Open this PowerPoint to AVI online converter. 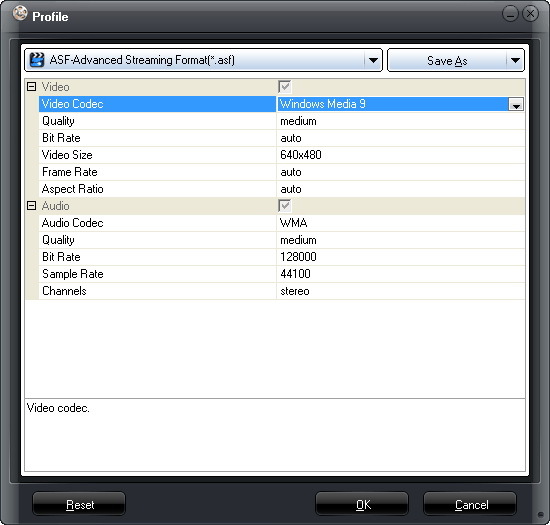 In the "Video Converter" section, open the drop-down box and then choose "Convert to AVI" option. You’ll be directed to the "Online AVI video converter" page. Upload your PowerPoint files by clicking the "Choose File" button. You could also add your PowerPoint files for converting from your Dropbox or Google Drive. Finish the related "Optional settings" like bit rate, aspect ratio, quality, resolution, etc. Click the "Convert file" button to start converting PowerPoint to AVI free online. After converting, your converted PowerPoint files would be automatically downloaded to your computer in AVI format. You could then open the folder to see the converted PowerPoint files and play it back. Using PowerPoint to AVI converter online to convert PowerPoint to AVI free online is one method. The other method is to make use of desktop edition PowerPoint converter, which requires you to download and install on your computer. You could search on Google and get multiple PowerPoint to AVI converter software. 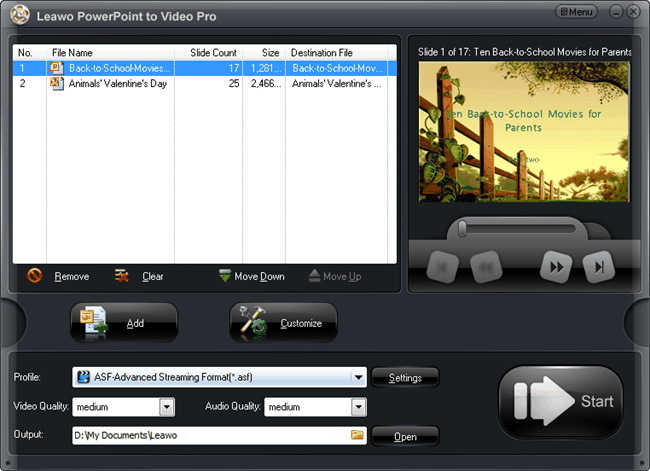 Among all these PowerPoint converters, Leawo PowerPoint to Video Pro is regarded as one of the best. This PowerPoint converter helps you convert PowerPoint to AVI and 150+ other video formats for multiple media players and portable devices, including your Xbox. The following guidance will show you how to convert PowerPoint to AVI with this desktop edition PowerPoint to AVI converter. Free download and install this PowerPoint converter on your computer. 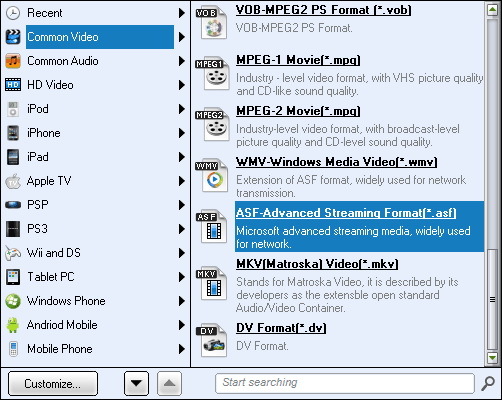 Get source PowerPoint files ready and then follow the below steps to learn how to convert PowerPoint to AVI video files. Click the "Add" button to browse and import source PowerPoint presentations into this PowerPoint to AVI converter. 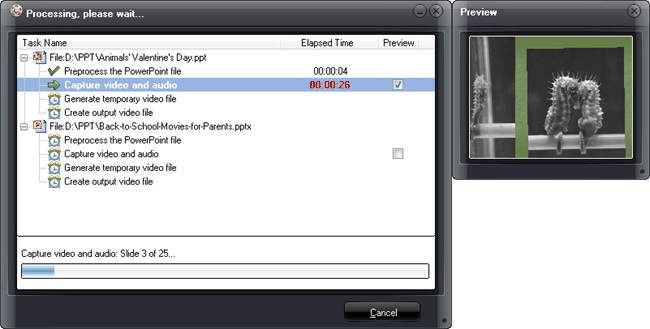 When the PowerPoint file is imported, it will be listed on the left processing panel. You could play back loaded PowerPoint files via the internal PPT player. Click the "Profile" box and then choose AVI from "Common Video" group as output format. After setting output format, open the "Output" box to set output directory to save output files. (Optional) You can click the "Customize" button to edit PowerPoint files: set PPT transition time, add PPT background music, adjust audio effect, change aspect ratio, apply watermark, etc. 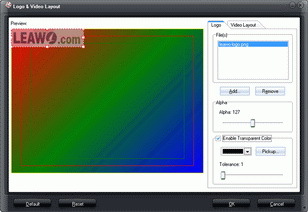 After all settings, click the "Convert" button at the right bottom to convert PowerPoint to AVI video on your computer. The conversion would be finished soon. After converting, you could transfer PowerPoint to Xbox or other media players for freely playback. To make it simple for you to decide which method you should take for converting PowerPoint to AVI video, we’ve made a detailed comparison between online PowerPoint to AVI converter and desktop edition PowerPoint to AVI converter below. Convert PowerPoint to MP4, AVI, FLV, MKV, MPEG, WMV, etc.